With all this information, each workout is scored based on how they best match your current training needs. From here, the best workouts are chosen and presented as recommended workouts. When you load the workout onto one of the Xert Workout Players, they are tuned to your capabilities and training level automatically, adjusting target intensities on-the-fly, ensuring you reach the right targets as you execute the workout. 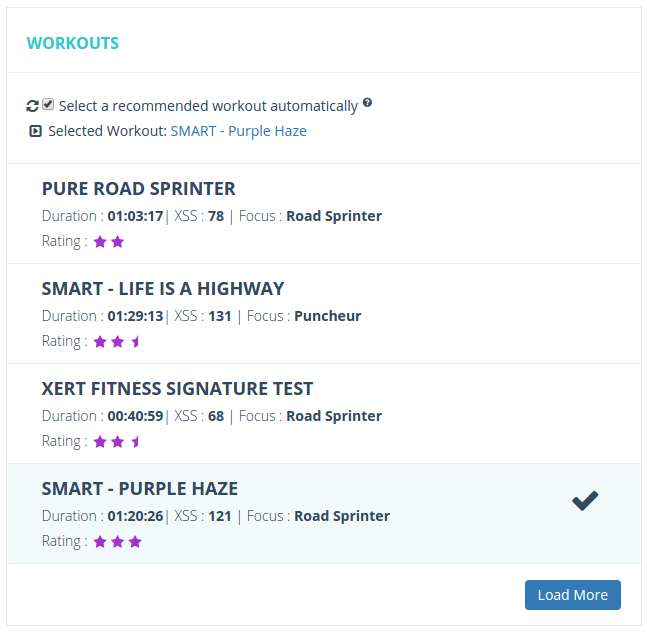 When new activities are received, you update your Target Event Date, update your Improvement Rate or just recover, the adaptive algorithm will readjust the recommendations, always ensuring you’re on the right track with your training.